Hardwood floors deliver a sense of class and style to a room that other materials simply can’t offer. There’s just something about aged heart pine floors or lighter strip oak that can bring a design together. When deciding on the colour for Vaughan hardwood flooring, most people opt for the natural appearance of dark or light wood, rather than painting their floor in a non-standard shade. Dark and light wood have their own strengths and weaknesses that will influence the visual effect of your floors and the mood you create in your home or business. 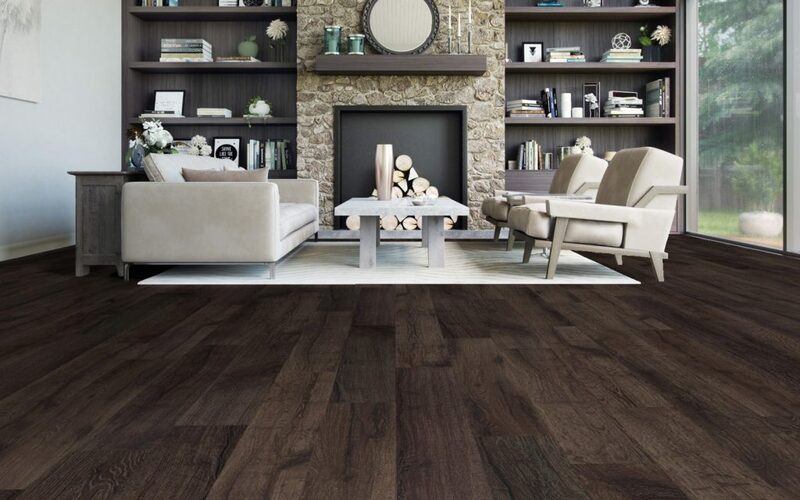 Dark wood floors are versatile and can give a room a formal look or lend a more rustic and casual atmosphere. For an extra antique look, you can use darker stains to make the floor appear aged and bring out its character. Another advantage to getting dark hardwood is that it goes well with a variety of colour pallets so you have more freedom when matching it with your walls and furniture. This is true whether you are using a varied pallet for modern styles or are leaning towards soft beige and earth tones. You can create dark hardwood flooring in Vaughan by using naturally dark woods (cherry, walnut, etc.) or you can take a light wood and apply a dark stain. This is handy if you have your heart set on a type of wood that less expensive, easier to maintain, or if it has a grain you just die for. 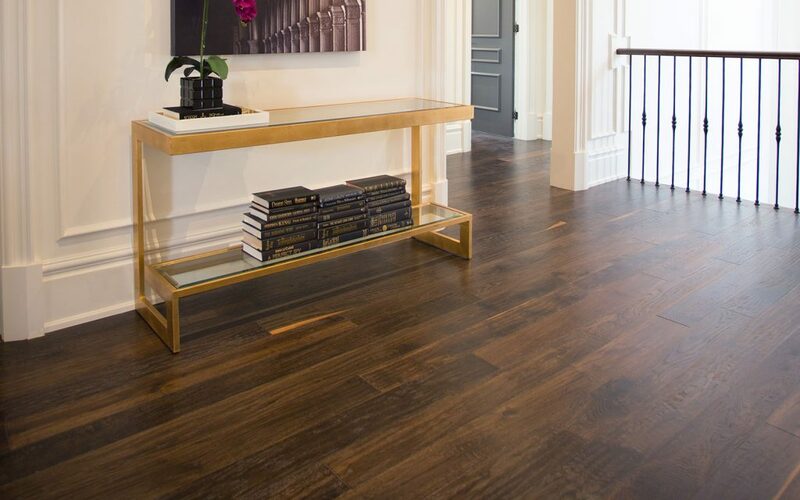 There are a few caveats to using dark wood floors that need to be kept in mind. First, it is best to avoid dark flooring in small rooms since it can draw attention to the size of the space, if you are trying to detract from that. Second, wider boards are better since fewer seams balance better against the darker shade. Lastly, be careful when using dark wood floors next to dark woodwork such as a table or cabinet. This is because people who are sensitive to colour matching may be distracted by differences in hue even if the type of wood is the same. Light hardwood floors are ideal for smaller spaces since they can make a room feel larger. The light palette is also highly compatible and white finishes go with virtually anything. A handy trick is to use lighter burlap shades to enjoy the effect of light floors without committing to a true white colour. Natural, beige shades are the original neutral and are excellent for creating minimalist designs if you want a room to have a sleek, modern, or minimalist appeal. As an added bonus, light wood floors make it harder to see dust or dirt, just like white cars. Pine and maple are the go-to woods for light hardwood flooring in Vaughan, but you can also use white finishes on darker woods as well. It’s important to remember that the type of finish you use can affect the overall shade of the wood. Using clear finishes on light woods will amplify their whiter shades while oil-based finishes offer a more amber hue.